The venue consists of an industrial warehouse style barn with white washed walls, terracotta coloured floor and high ceilings with exposed metal beams and it is the perfect blank canvas for you to create an exquisitely styled event. 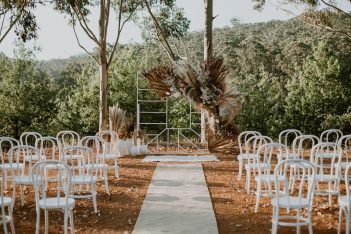 The barn opens up onto a large outdoor courtyard that is surrounded by established gardens and rustic buildings, providing a beautiful backdrop that features a contrast of urban and natural elements. Adjoining the barn is a commercial kitchen. The venue is situated on the multi-use Perth City Farm precinct and is surrounded by an organic produce urban farm and nursery, a community arts space, and the City Farm Cafe. There is a farmers market each Saturday in the courtyard from 8 am – 12 noon. Ours is straight venue hire, we provide a blank canvas for the hirer to create a uniquely styled event. We do not provide catering or event management. You will be required to hire chairs, tables and other furniture, AV, lighting etc. If you would like to view the venue I am available Monday 9.30 am – 12.30 pm, Tue 9 am – 4 pm, Wednesday 11 am – 4 pm, Thursday 9am – 2pm and Friday 9.30 am – 5 pm. I am able to tentatively book your date pending a signed formal quote and payment of a 25% deposit.